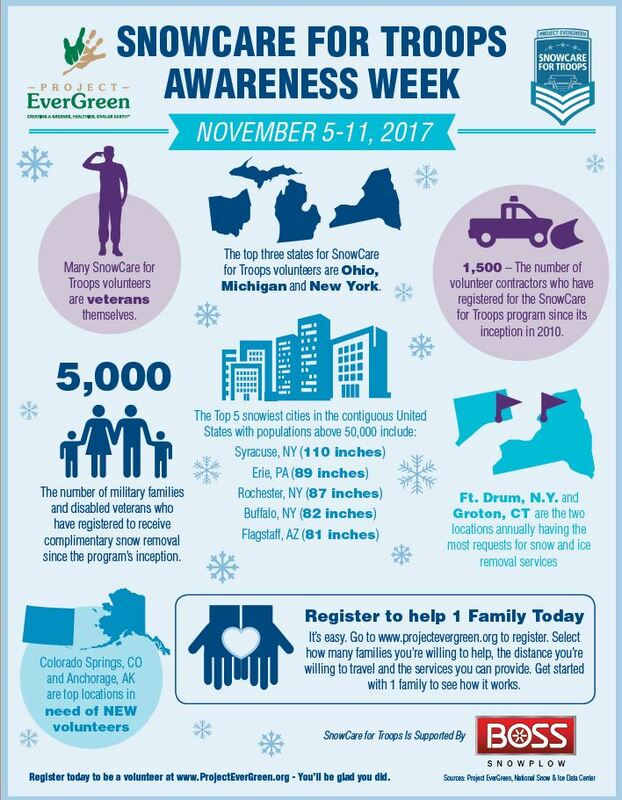 SnowCare for Troops is more than clearing driveways and sidewalks of snow and ice - it is a means to ease the burden of deployments on military families and to help veterans with disabilities maintain their independence. BOSS is a proud sponsor of the SnowCare for Troops initiative! Volunteers are always needed for SnowCare for Troops. In particular, Colorado Springs, CO, Anchorage, AK, Dayton, OH, Beavercreek, OH, Fairborn, OH, Gales Ferry, CT and Groton, CT are areas in need of snow and ice professionals. Those interested in helping with snow removal can register at the link below.